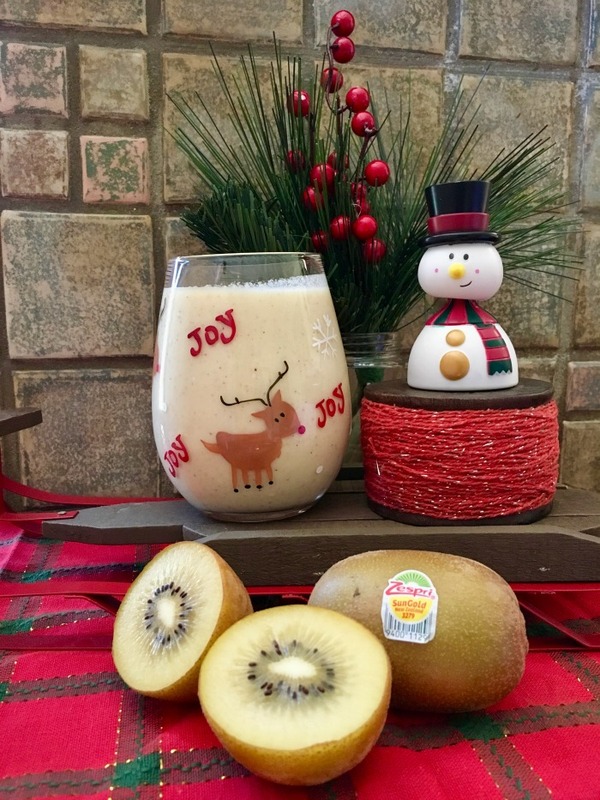 Move over regular ole eggnog, Zespri SunGold kiwifruit is jumping into the glass! Contributing a rich golden color and a delectably zesty flavor, Zespri SunGold kiwifruit takes this creamy, dreamy, seasonal treat to a whole new level. The verdict is in: when The North Pole meets tropical, the outcome is delicious. Find out where to buy Zespri SunGold Kiwifruit here: https://www.zesprikiwi.com/where-to-buy-kiwifruit/. Remove from heat, stir in remaining ¾ cup milk, and let cool for 15 minutes. Place in the refrigerator to chill, sprinkle pomegranate seeds or cinnamon on top of each glass if desired, and then serve! For extra fancy flair serve with a cinnamon stick. 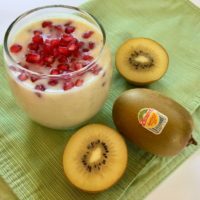 This recipe was developed for Zespri SunGold kiwifruit and is a sponsored post.